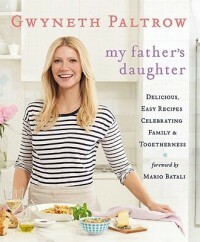 So, it would appear that Gwyneth Paltrow can add successful cookbook author to her CV along with her many other talent. As skeptical as I was going in to the review for My Father’s Table, I was actually pleasantly surprised by the number of dishes that not only sparked my own culinary recollections, but I was pretty eager to prepare for my own family. I have 2 daughters, one of which is an adventurous eater, the other, not so. 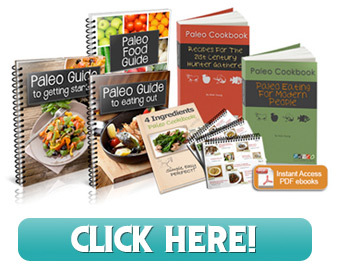 What I found in Paltrow’s book was a collection of great dinner ideas and straightforward, hassle-free recipes. These are practical weekday meals for busy families that although short on time do want to sit down and enjoy dinner together. The dishes are healthy and ‘fresh inspired’. While Paltrow does not eat red meat or pork, she grew up in a household that did and doesn’t preach or try to convert us meat-lovers to her camp. She does eat fish and chicken and offers up some inspired meals such as her Fish Tacos and All Day Roast Chicken. I also found myself quiet enjoying her warm anecdotes about her own family meals and reminiscences, along with family recipes she shares with us. The design and pictures are very appealing and the mega star does step aside to let the food shine. With basics like her ‘Slow Roasted Tomatoes and ‘Standby Vinaigrette’, this is a real go to book when you’ve hit mid week and run out of ideas. Was I secretly hoping Gwyneth would fail? Maybe.. but your review has convinced me I should give it a try!